New Delhi, June 19, 2017: During summer season the markets is flooded with a large varieties of mangoes consumer does not mind paying the price for the king of fruits. The consumer does this without realizing the fact that these mangoes could be harmful for them and their family. 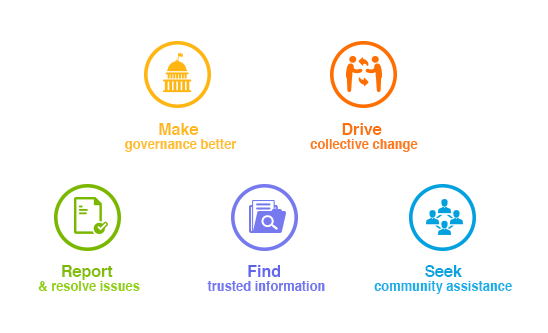 Several citizens on the Citizen engagement platform LocalCircles, have reported large scale artificial ripening of mangoes. A poll was carried to understand the extent of the problem. 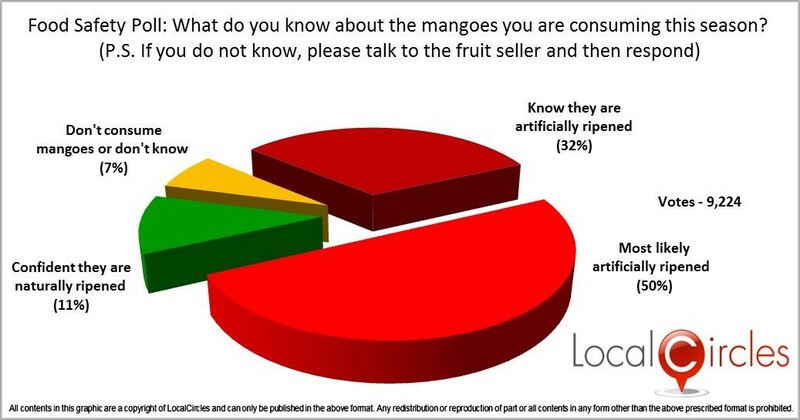 As it turns out, 32% people said that they believe the mangoes are definitely artificially ripened, 50% said these mangoes are most likely artificially ripened and 7% said that they etither do not consume mangoes or they were not sure. Only 11% of the 9,224 people who voted said they were confident that the mangoes they are consuming are naturally ripened. Citizens also hightlighted on LocalCircles that Carbide and a certain Chinese Ethylene is being widely used to artificially ripen the mangoes. Citizens also reported presence of small sachets of Chinese Ethylene inside the box of mangoes all across the country. The artificial ripening takes most often during the beginning when the prices are high. These prices then ease out with the onset of monsoon and larger quatities hitting the market. Companies hence try to sell their mangoes during the starting of the seaon so that they could get better prices and therefore use unnatural techniques to ripe the mangoes before time. Citizens suggested that people should be careful while buying mangoes and should not buy the ones which have green patches on the skin and does not have a sweet aroma, as these could be artificially ripened. They also suggested different ways in which this practice could be reduced. The food safety commissioners should form a state level team and district level teams with participation of district food safety inspector, police and municipality and spot audits must take place at key wholesale and retail markets. In addition a citizen interface to this district team must be enabled so common citizens can take pictures or report such instances. Citizens are very keen that a monetary penalty of INR 50,000 and a non bailable warrant should be issued for anyone found engaging in adulteration, stocking or selling of artifically ripened fruits. FSSAI, accordi.ng to citizens must also work more closely with states, districts and citizens and regularly create awareness campaigns.